Has a hot chocolate ever disappointed? That moment when you’re enveloped in steam and full of expectation, then... a lingering grainy residue and watery thin chocolate delivery. It’s likely what you’re stirring in is made with a base of cocoa powder. ‘Dutching’ is a process invented in the early 19th Century by Dutch chocolate maker Coenraad Johannes van Houten. Roasted cocoa beans are soaked in alkaline solution, dried then crushed with a hydraulic press to release the cocoa fats. It alters the colour and neutralises cocoa’s acidity. Useful for baking but mixed in piping hot milk, lacks the depth of real chocolate. What you’re missing is that cocoa butter melt. Check the label too. Does sugar lead? What’s been added? Is it worthy of your favourite mug? - Our Chocolat Chef David takes you through step-by-step. First choose a good quality organic milk, or plant based equivalent. Almond, cashew, coconut and oat work well with real chocolate. 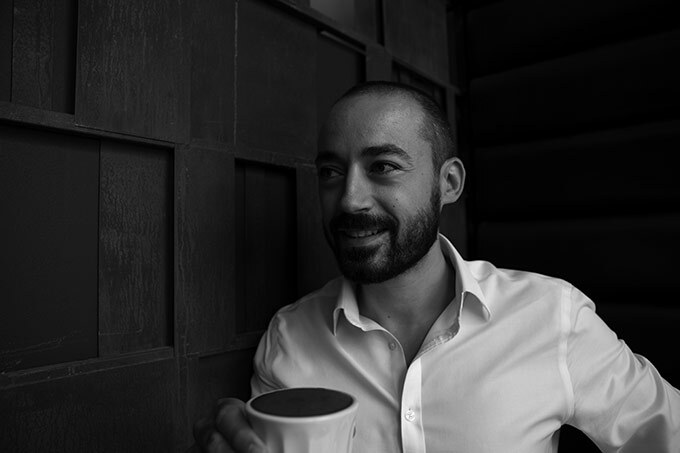 David’s tip: pre-warm your cup with boiled water to hold that temperature a little longer. Next choose your grade of chocolate. You could grate your own, but it may be hard on the knuckles and they should be small enough to melt the cocoa solids and butter. A welcome shortcut could be our signature hot chocolate flakes of just the right size to whisk away in milk. The only ingredient? Chocolate with no hidden extras, syrups, powders or artificial anything. What to add? For one serving add six heaped teaspoons (35g) to 220ml of your choice of milk. What hot chocolate options are there? 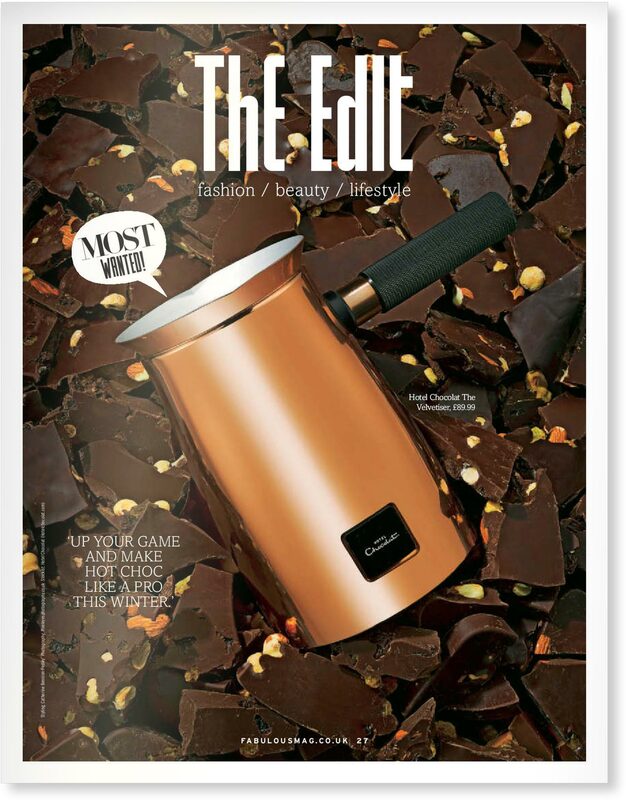 Choose from six mood-matching core recipes, lazy Sunday Salted Caramel to a single-origin dark boost. David’s tip: save a pinch of chocolate flakes to sprinkle on at the end. Magic. 1. In a pan bring the milk to a gentle simmer, stirring gently with a whisk until hot but not boiling (you should steam rising). 2. Remove from the heat and add the chocolate to the milk. 3. Return to the hob on a medium heat and gently whisk until all the chocolate has melted. 4. It takes four to five minutes to prepare, then it’s ready to pour. Sad times: It’s easy to get distracted and burn the milk (we’ve all had unwatched pan panics). Boiling over results in a bitter aftertaste. Not what you want to warm your hands around. 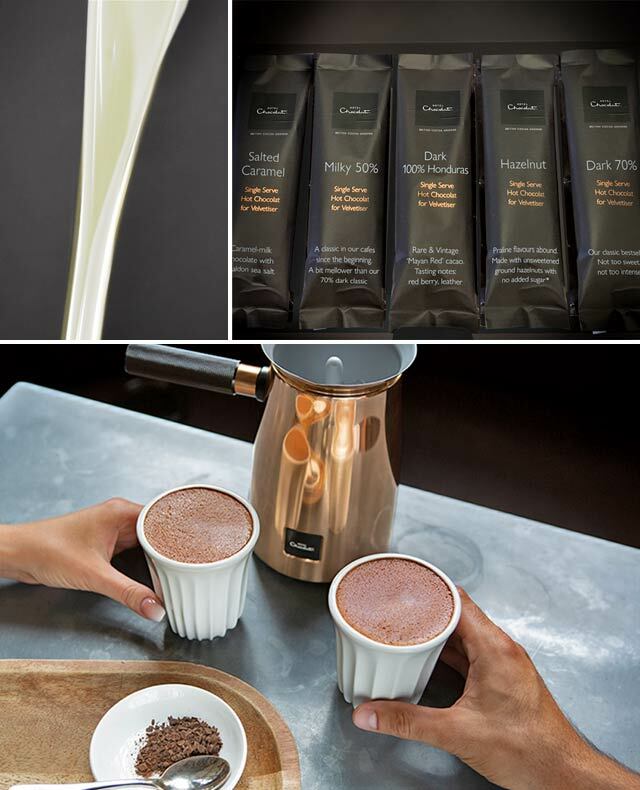 Want a silken shortcut to make perfect hot chocolate at home? One that may result in dancing? The Guardian rated The Velvetiser 5/5. 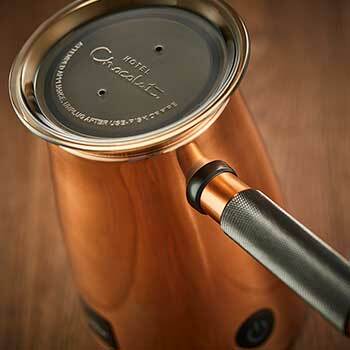 It’s designed by Hotel Chocolat and engineered by Dualit for velvety hot chocolate at home. 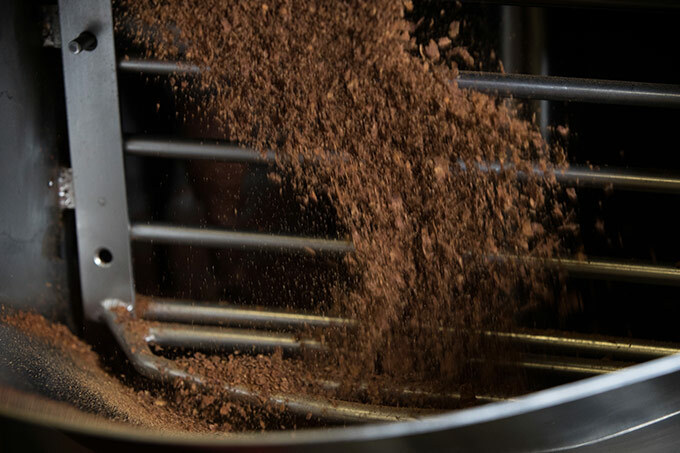 Push the button and in minutes it dissolves our single-serve real chocolate flakes, then rotates faster for a velvety finish inspired an ancient whisk (molinillo). Serve like a pro at 67°C, the perfect temperature to enjoy immediately. Smile raising. Trying is believing. Order your Velvetiser today. Still in use in South America today, the molinillo. A wooden tool which rotates by rubbing the palms together, aerates and creates a beautiful silken froth. That feel good feeling. Cocoa contains phenethylamine (PEA, easier to say) the same chemical your brain creates when you fall in love. Your most-loved? Share your best hot chocolate recipe on Instagram. Do you covet melting marshmallow or topped up with your favourite tipple?